Yes, chimes in with a common complaint on the Bit coin mining forums ...eager new industry recruit orders the latest and greatest, but after the inevitable delay in delivery, by the time they actually get it going it's a virtual antique! Perfect perpetual carrot and stick. Makes me wonder at the original motivation of the designers, - free the populace from the tyranny of the banker classes, ..but just be careful, don't get drawn into emulating your former masters, else you may well end up wishing you'd stuck with the devil you knew..
and AUR's early success (with a pre-mined coin) is bound to trigger many copy cats. There are many snags ahead, and I wonder how many will foresee them, and deal with them? MtGox failed to do that. I wonder if the slow confirms problem will trip -up AUR or the Scotcoin? What will happen to the unclaimed coins? 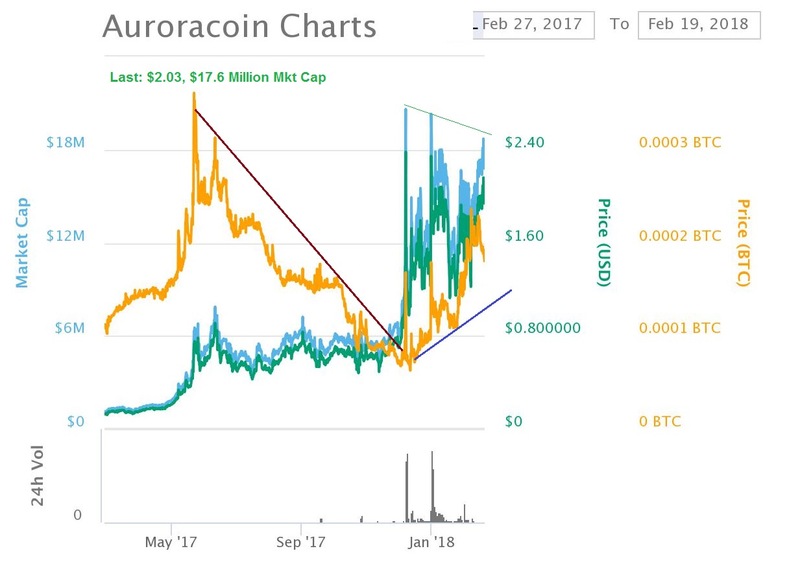 Swings and roundabouts between Litecoin and it's Auroracoin offspring. Litecoin a bit more stable at the moment, wouldn't have wanted to be too enthusiastically accruing Aurora earlier in the month!! "How we can be truly free by loving each other"